Through his daughters illness, Ernst Weberstorfer, an educated technician from Austria, first learnt about and later dealt intensively with the Vibrascope™ ('Ökö Tensor' in German language). Over the years he became himself the producer of the worldwide best selling Tensors, the Vibrascope and other hand rods. 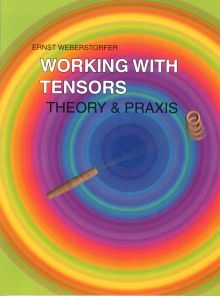 In this book he describes in easy terms why and how a tensor works. He gives step by step explanations for users (beginners) and versatile application examples for private or medical use. From testing allergens, Bach remedies, stones and home toxins, to checking auras and chakras. The reader will learn the difference between “Pendulum Method” and “Reference Test” and also how to create a simple Tensor out of steel wire and bottle cork themself. We very much recommend this book with the Vibrascope, as it is a very comprehensive and clear introduction from a down to earth teacher, that also shines a critical eye on potential risks.